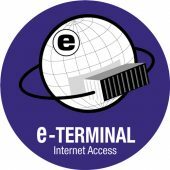 E-terminal is an on-line web application which allows to retrieve real time information about containers handled in ITSALSCT. Fully customized based on customer needs. Each profile can get the access to different kind of information. For further details you can download the below guides. Download the e-terminal vessels short-code guide. Track container into the e-terminal tracing level.